There is no such thing as a “good” bag or “bad” bag. In cheese packaging, what matters is whether the bag works for your particular application. Prior to using a particular cheese bag on a regular basis, you should “qualify” the bag for your process. That means running a small number of bags on machinery under standard conditions. Ideally, technical experts from your bag vendor should be present during the trial run. Examine the package for an adequate, leak-proof seal. Put it through your standard storage and distribution process. Only then can you be confident that this particular bag works with your manufacturing process. If anything in your process changes, you should re-qualify your packaging material. In order to keep your cost as low as possible, packaging materials are usually designed with a very small margin of error. Even something as simple as a new sealing bar can be reason for re-qualifying your packaging material. This gives you the best guarantee that the manufacturer will stand behind the bag in the event of a failure. Getting the manufacturer’s agreement in advance that their bags are qualified for use in your process will protect you and reduce the possibility of disputes later on. For more information about packaging, click here. 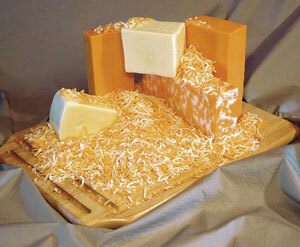 This entry was posted in Cheese & Dairy Products, Packaging & Ingredients and tagged cheese, dairy, Learning Center, packaging. Bookmark the permalink. Follow any comments here with the RSS feed for this post. Both comments and trackbacks are currently closed.